Bedroom decor has changed over the decades. I love the look of mixing retro items with some modern day necessities, while keeping the retro feel to my decor. Below are some examples of bedrooms through the decades to use as an influence. For my room I have decorated it in a vintage inspired retro style. Vintage suitcase set stacked up which is useful for extra storage, vintage hairdryer, vintage sewing mannequin, Jolley Big eye prints, and reproduction circle shelves, retro style matching frames that I placed Marilyn Monroe movie posters in, which I purchased as an old movie poster book from a Salvos store. For my daughters room, she wanted it decorated in a retro tiki vibe. Whatever retro style that you go for in your bedroom, you have endless options in creating it. I hope I have inspired you! Have fun creating!! I mentioned before that I would show you how to revamp a memo board…. This is a quick and easy project and can be useful artwork in your room! Here are two that I created. For both, just purchase a cheap cork memo board in whatever size you require. I made this cork board to match all the other frames in my bedroom. Take the mirror or picture out of the frame. Take the cork board out of its frame and trace the mirror/picture shape onto your memo cork board. 2. Next get a jigsaw or knife and cut out the shape. 3. Place the memo cork board into the frame. It is best if your frame has the metal clips to bend back into place. If not, you could hot glue it into the frame. If it is a wooden frame you could use small nails to keep it into place. 4. Voila! You can put your new memo board up and start using it. Pick a fabric and iron the piece, as it works best with no creases. Take the frame off the memo board, carefully, as you will still need to use the frame. You should be able to take it off by opening only one corner. 3. Next carefully staple the fabric onto the cork board at the back. Carefully pulling the fabric tight at all times, prior to each staple, and fold over corners tidily. 4. Place the frame back onto the cork board. Use a staple gun to close the one corner that you opened. 5. Your frame is now ready to use! This example is just a cork board divided into 9 sections with each section decorated individually. 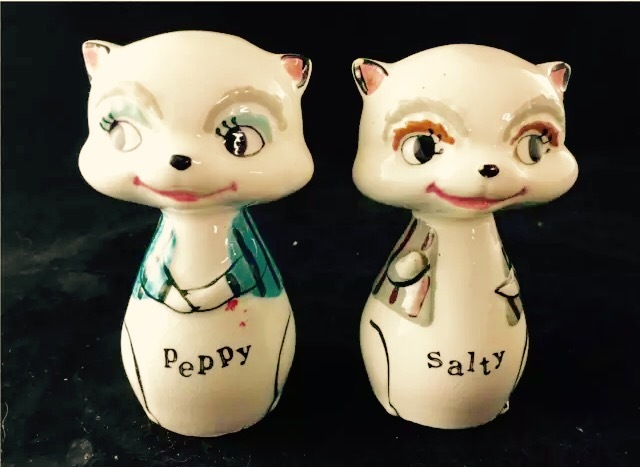 You can paint them with normal paint or blackboard paint, or cover it in fabric, or leave it plain. Decorate in any style you prefer! The above example is a piece of wood covered in fabric and stapled on the back, then ribbon crossed over and again stapled to the back. In each X section add a pin for decoration & for sturdiness. This example is a vintage frame with chicken wire stapled to the frame back. You could use fabric or an artwork on the back for a different look. Memos are held on with small pegs, that you can pick up in a craft store. I have given you some ideas…. but the possibilities are endless! Let your creativity go wild. Show me your creations, I would love to see them!! I am so excited that I finally got to buy a good retro peacock chair and at a great price. I found this beautiful chair on eBay. It wasn’t too far away and got it at a great price of $75. What a steal!! Most range from the $300 to $600 mark, so I was super excited to get it! You will need to clean it up with a small brush. I used a dust pan brush. Next, use your brush extension on the end of your vacuum cleaner hose to do a final clean. Cut off any broken bits or tighten them up. 4. Repeat to ensure you get full coverage of the chair. 6. Spray the chair in whatever colour you desire. I chose white, as I can change its accessories for a different look. White looks fresh and bright, and can blend into any decor. 7. You will need 3 spray cans for each coat. You need to spray each way that the cane goes. For example with my chair I had to spray in an x Criss-cross motion to make sure of full coverage on all the cane slats. 7. Once completely dried (24 hours), do a top coat. Again you will need about 3 cans. Then wait another 24 hours for the paint smell to subside and for complete drying time. 8. Now to decorate the chair. I choose a black velvet round cushion and a black faux fur throw, to enhance the white peacock chair. I recovered the seat cushion by buying another matching throw. I cut 2 layers of the throw 5 cm around the cushion and sewed them together. With the cushion inside, I hand sewed the opening shut. Have you decorated a peacock chair? Send me photos, I would love to see. For so long now I have been trying to get my hands on a 1960s inflatable terrarium footstool…. Finally I did, at the bargain price of $60 on Facebook! So many that I have seen on the internet go for around the price $250, so finding this one at a fantastic price and in such great condition, I jumped at the chance. The vintage inflatable footstool dates from the 1960s and has unique, clear plastic sides to reveal fake grass, flowers and leaves. It has a vinyl top and wooden and metal legs. The blow up nozzle at the bottom keeps it inflated. I think it is a stand out piece! Unfortunately though, there doesn’t appear to be any opening to change or add to the flowers. 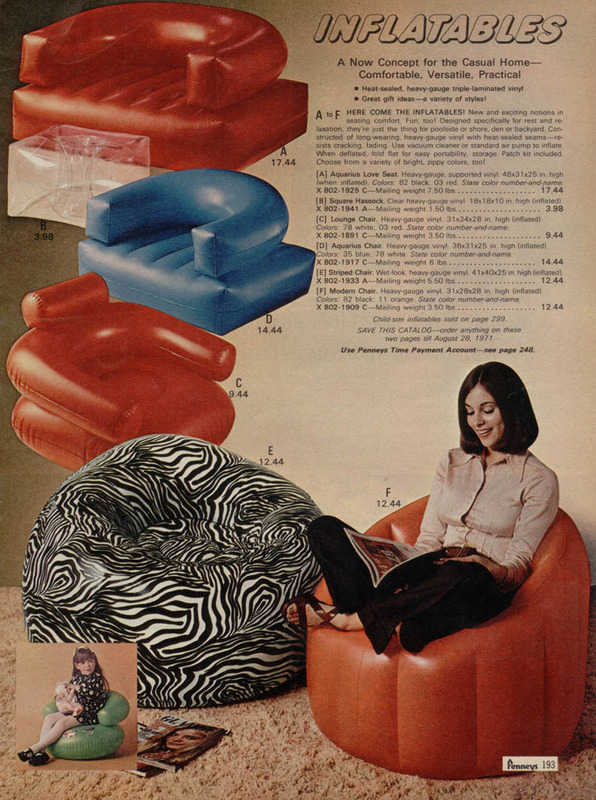 In the late 1960s there was an increasing trend with inflatable furniture. In 1968, designer Quasar Khanh created the first piece of inflatable furniture with an inflatable chair, which was a huge trend. The inflatable seats were on trend again in the late 1990s! The inflatable furniture trend continued in the 1970s with even more choices. The TV show Happy Days even had an episode where Marion changed all her furniture to inflatable furniture as it was the latest trend. However she soon put all her old furniture back as it was too hard to live with. What do you think about inflatable furniture? Would it work in your house? Let me know your thoughts, I would love to hear. I love the retro look of the inflatable furniture but I think people are too rough in my household to use inflatable chairs. I am sure that they would always be deflated…. Mermaids are legendary creatures of the sea. The head and upper body are of a female human with the tail of a fish. 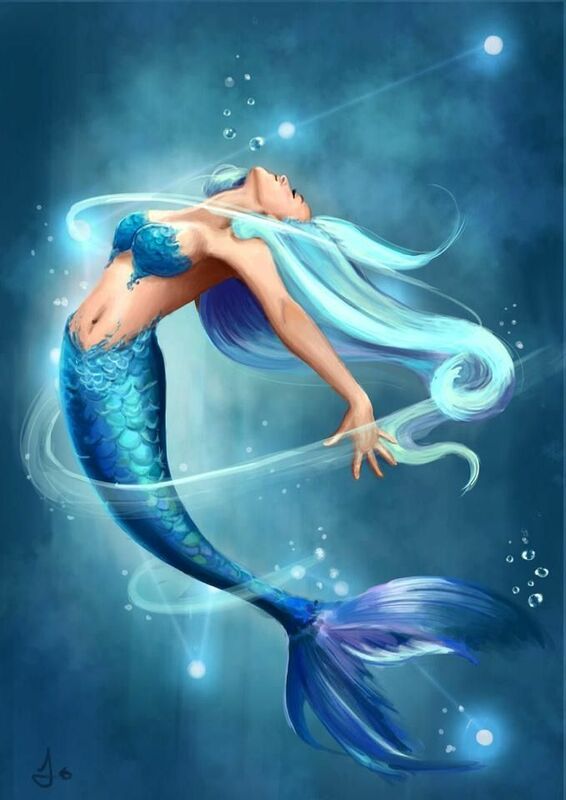 Mermaid is a compound of old English – merely meaning sea and maid, being a young woman. Mermaids are a part of worldwide culture! 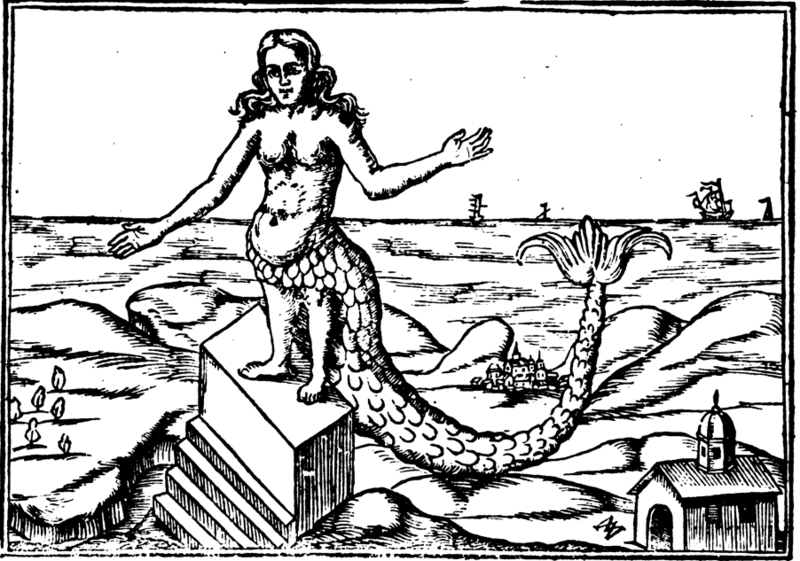 Sightings of mermaids have been recorded over many centuries. Are they a myth or true? The first known story was that of goddess Atargatis of Assyria that transferred herself into a mermaid out of shame from accidentally killing her lover. Mermaids have been popular in both art and literature over many centuries. 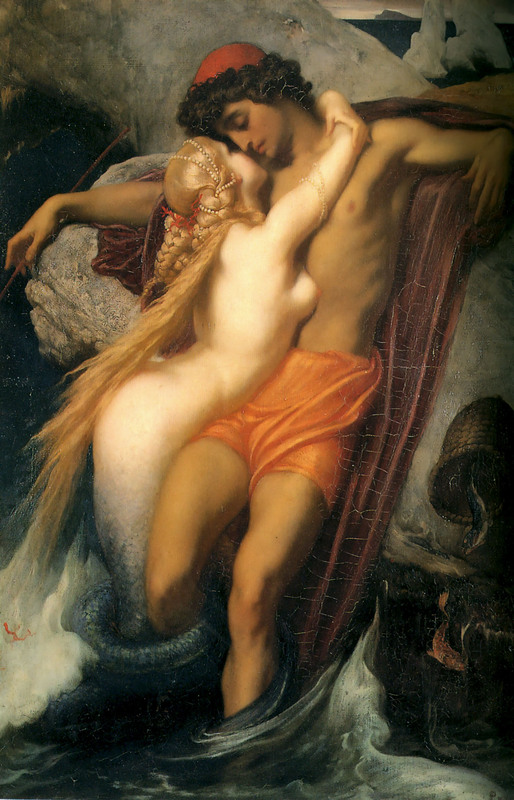 Above: Leighton-The Fisherman and the Syren-c. 1856-1858. The most famous mermaid story that children love is Disney’s The Little Mermaid. It follows the story of mermaid Ariel who falls in love with a Prince and wants to be a human, as to be with her true love. I have recently purchased vintage wall mermaids! I have wanted to get some for such a long time as I adore them, but I waited to get the perfect set to match my bathroom decor. 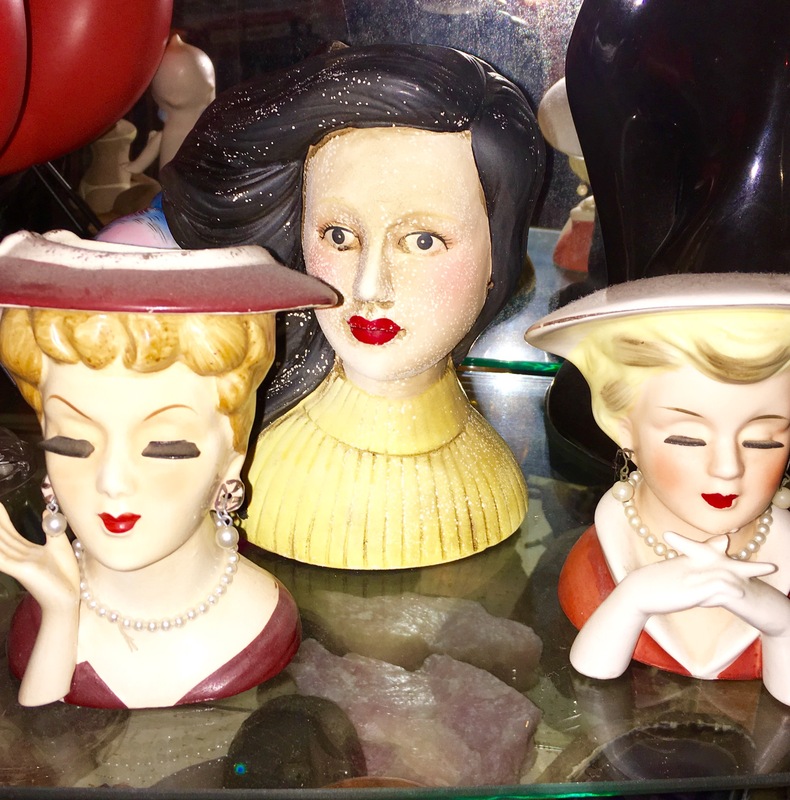 Vintage mermaids can range in price from $120 to $350, depending on their makers. 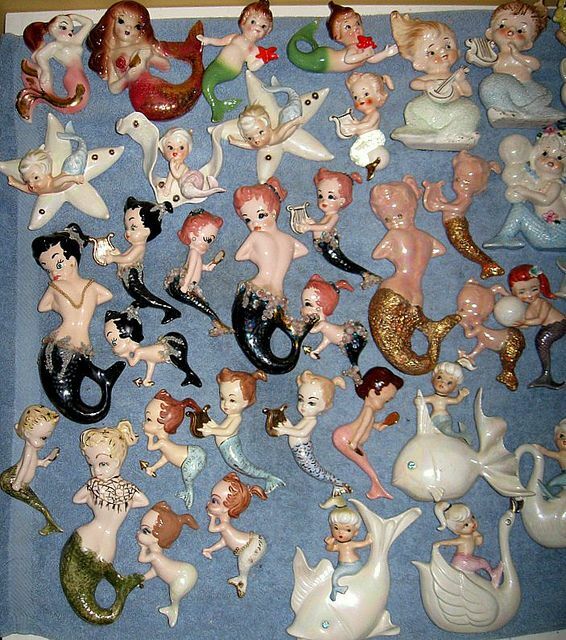 There are some really good vintage wall mermaid sets by Lefton, Norcrest, McFarlane, Bradley, Lane & Co, Joty and Holt Howard. Do you love Vintage Wall Mermaids? Let me know! Do you have any vintage wall mermaids? Send me photos, I would love to see them!! My latest obsession is with the Barsony Lamp. I love the look of the lady figurine and the shades are gorgeous! I’m about to purchase my first Barsony lamp! 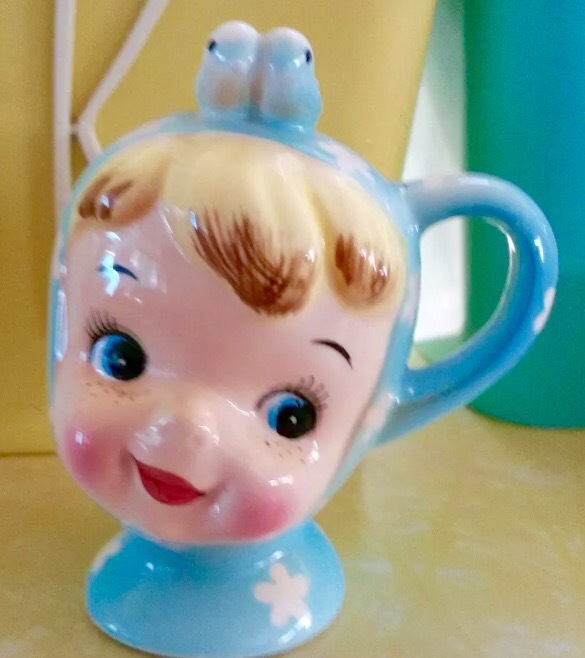 Barsony Ceramics was an Australian company in production from the 1950’s to 2005. They boomed in popularity from the 1950s to mid ’70s. The company was founded by couple George and Jean Barsony. George was a sculptor from Hungary who arrived in Australia in 1949. Shortly after his arrival, he met his English wife Jean who had also recently arrived in Australia, and worked in a Sydney pottery. 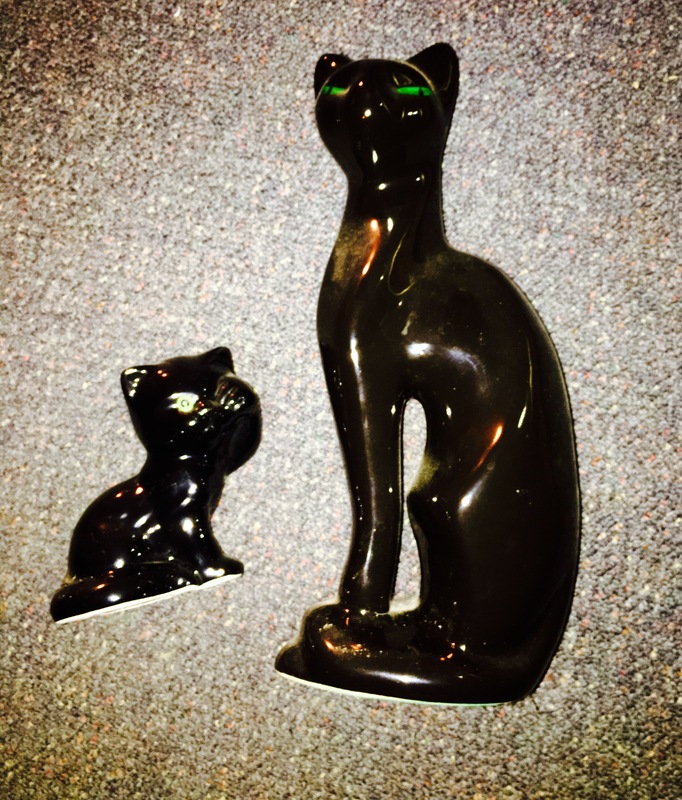 Together they started their company that produced ceramic items including ashtrays, figurines, wall plaques and lamps recognisable by their signature matte black finishes. 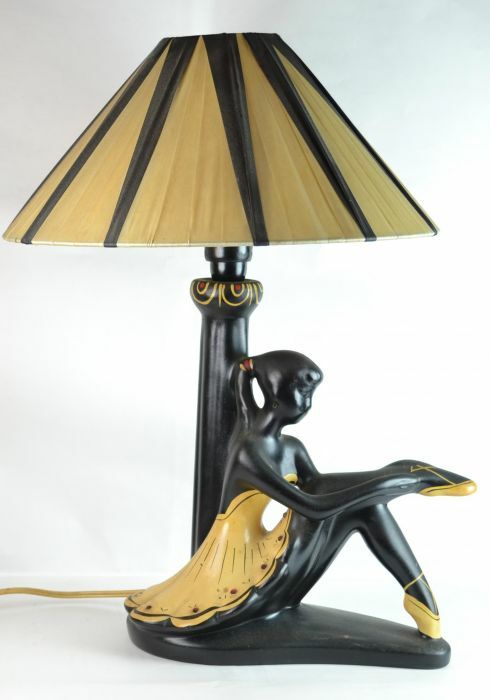 Barsony Ceramics were best-known and most loved for their black lady lamps. With such increased popularity, Barsony were in production for a period for 24-hours a day. No joke! 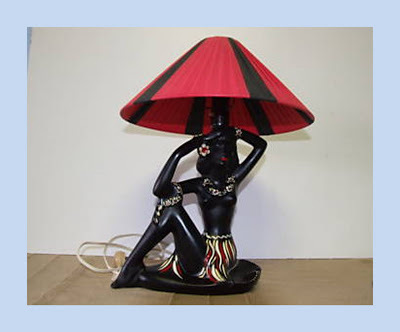 Barsony lamps can be found mostly on eBay or Etsy. 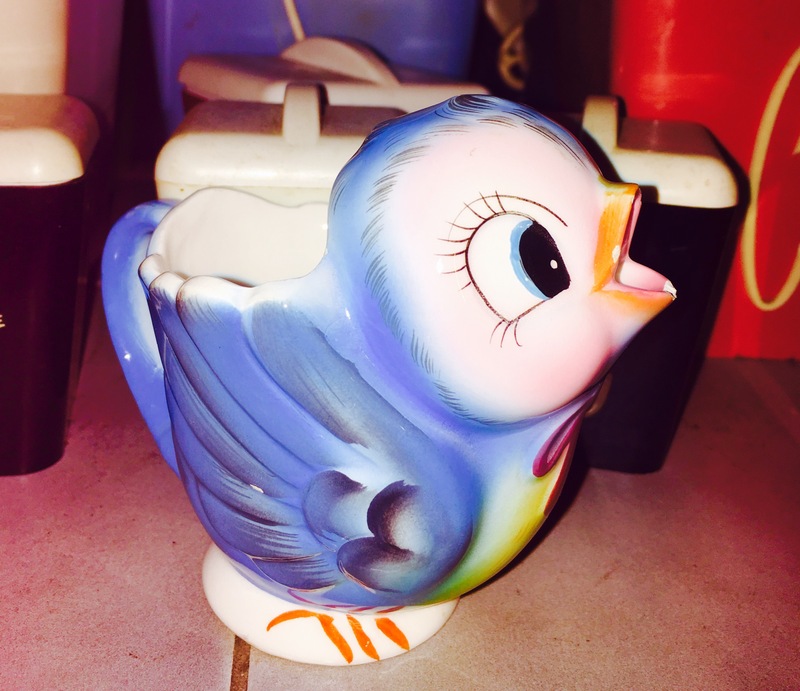 However you could be lucky enough to stumble upon one at a garage sale, vintage shop or market! Through my research, I’ve seen they can range in price from $150 to $1200, depending on the rarity. With some shopping around, you can hopefully purchase one at a good price. An interesting feature of the Barsony lamp is that the shade is made of plastic ribbons. The shades are the first to deteriorate due to their plastic material, so to find one in mint condition is a fantastic find! The shades can be very expensive to purchase and range in price from $50 to $250. I love the unique look of the Barsony lamp. 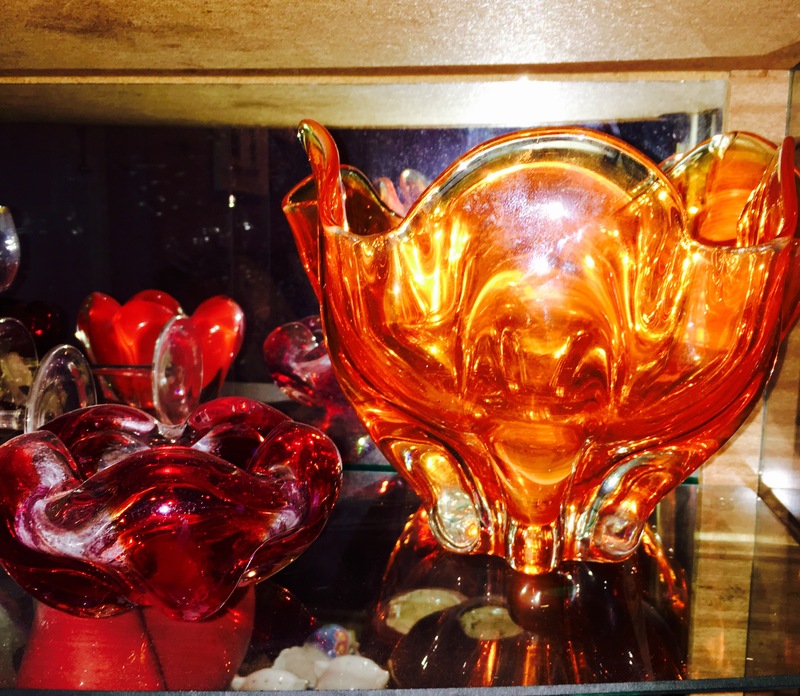 They are such a stand out piece that can be blended with any decor style! I have just managed to purchase my first Barsony lamp which I purchased through eBay! I am very excited for it to arrive…. Above: the style of my purchase! 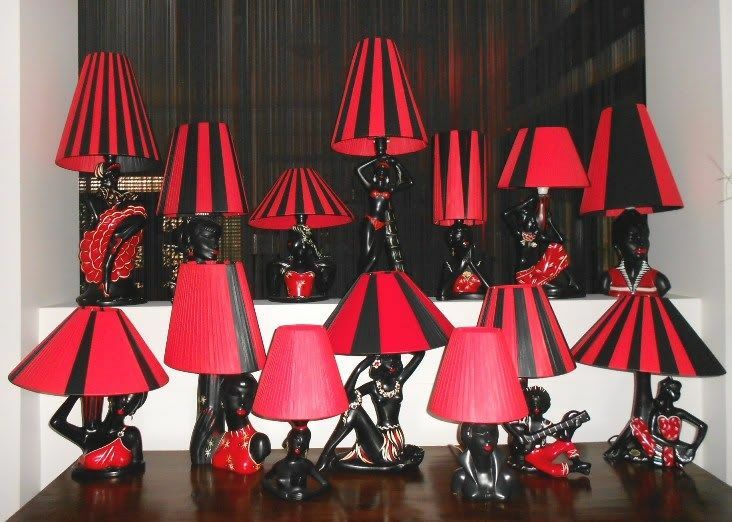 Do you have a Barsony Lamp that you love? Send me photos, I would love to see them. 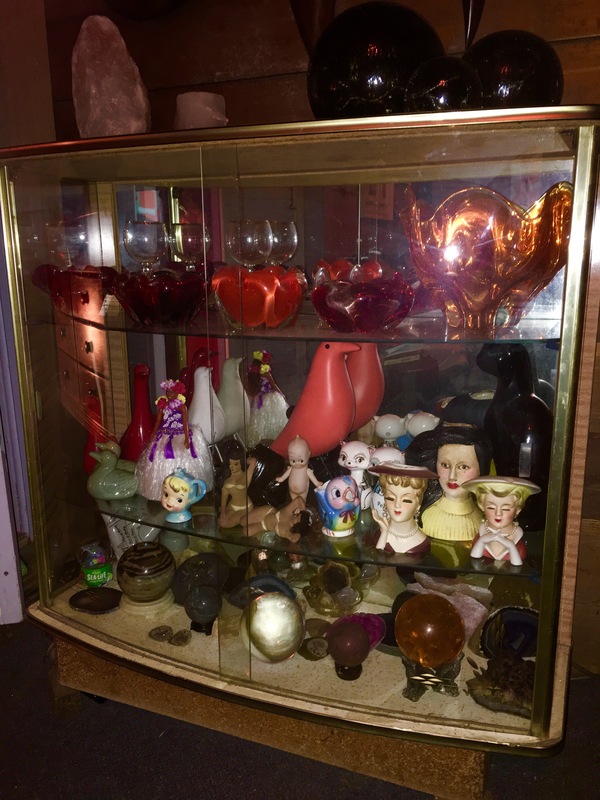 If you purchase a retro display cabinet, it becomes a great way to display all your vintage collectables! This retro cabinet is in my lounge room and is getting fuller by the day! It features all my retro collectables and my crystal collection on the bottom shelf. I picked this great cabinet up for $1 on eBay. It was an amazing buy and the most amazing lady was selling it. She was so excited to see my rockabilly look. The cabinet was her mums and told me about all the retro items she used to display in it. I expressed my regret that I was only paying $1 but she confirmed that this wasn’t about the money, she just wanted someone to cherish the cabinet as much as her mum did. That night, I finished setting up the cabinet and sent her a photo of the finished look. She was overjoyed to see the cabinet being loved as much as her mum had and sent the photo to her brother as well, and they were both in tears. She brought me to tears as well when she told me how happy she was that I purchased it and loved it, just like her mum! $1 brought joy to my life and their lives as well. Learning the history of the cabinet just added to my joy! 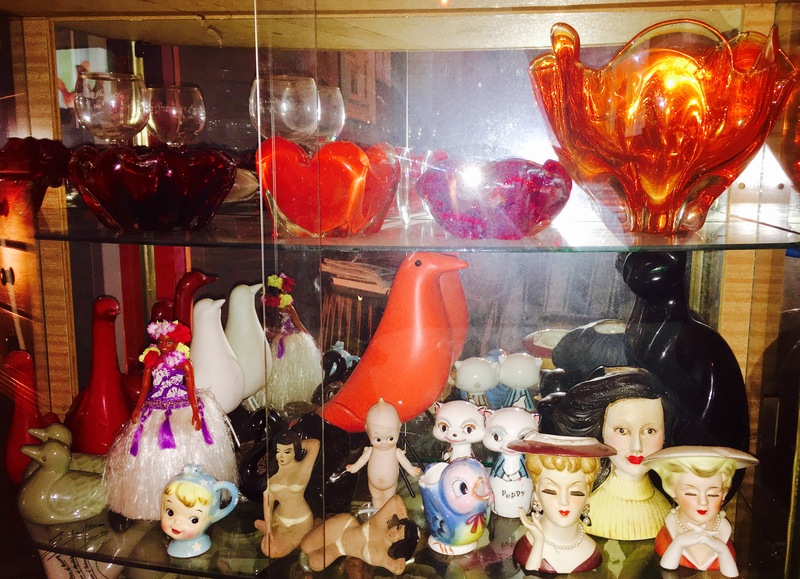 How do you display your retro collectables? Send me photos of your cabinet. I would love to see them!